Travel the world and have it count towards your anthropology degree! Imagine studying Indigenous anthropology in Australia, learning about Māori culture in New Zealand, or taking part in a group field study archaeological dig in China. All of this and more is possible with UBC’s Go Global international learning programs. Go Global and the Anthropology Department have worked closely together to identify study abroad opportunities for Anthropology students. Study abroad opportunities include: Exchange, International Internships, Research Abroad, Global Seminars, International Service Learning and more. 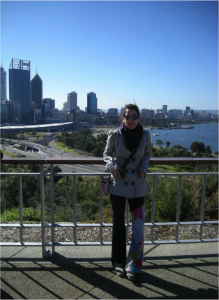 Read about the international experiences of past Anthropology students here. Why Go Global as a Part of Your Anthropology Degree? Explore your Anthropology degree from a different perspective and gain access to courses you would not have access to at UBC. Get an edge in the workforce, as more and more industries value cross-cultural competencies and international experience. Experience another country as a student and not just a tourist. Become globally aware, grow and develop as a person, and gain cross-cultural understanding. Go Global has partner universities in over 35 countries, with some of our partners offering programs and courses that will complement and enhance your UBC Anthropology degree. You can explore all of Go Global’s partner institutions by visiting Go Global’s partner pages, or see below for a list of universities that have been recommended by the Anthropology Department. Once you’ve completed your research on available programs, you should submit an application with your top three university choices. Study abroad for Anthropology majors is recommended for students during your third year, after you have completed your lower-level Anthropology requirements (found on the UBC academic calendar). This foundation will allow you to better appreciate differences in psychological perspectives around the world and to cope with any differences in teaching styles that you may encounter. Generally, credits taken abroad will contribute to your upper-level Anthropology major requirements. However, there are still a variety of credits that may also count towards lower-level requirements. As an alternative, students may also want to consider taking courses outside your Anthropology degree requirements, but which count towards your elective credits. We would encourage Anthropology students to take note of the requirements for all of the Anthropology major, minor and honors programs prior to international exchanges. Is the course offered by the Anthropology department in the partner university? Does it have a lower level requirement? Is it offered as an upper year course abroad? The following universities have numerous courses pre-approved for transfer credit (universities listed below are subject to change). For a list of courses that can be transferred back as Anthropology credits at the following institutions, as well as many others, visit Go Global’s website. Conduct research abroad at one of our 150 partner universities worldwide. Students may choose to embark on self-directed research abroad programs or structured research abroad programs. Research abroad allows undergraduates to learn new techniques, build your career as well as network and engage with other cultures. For more information, please visit the Research Abroad webpage. Take a UBC course led by a faculty member alongside a small group of peers abroad to experience hands-on learning. Each course is unique in location, length, and cost. Immerse yourself in another part of the world and bring course content to life. Visit the Global Seminars page to browse through a list of our programs. UBC’s International Service Learning (ISL) program allows you to contribute towards important projects led by community partners around the world. By taking part in ISL, you connect your academic studies with real-world experience. This opportunity fosters meaningful connections with communities around the world and will help you discover the local impact of global issues. You will also become engaged in a continuous cycle of learning, action and critical reflection. Spend the summer studying in an exciting international location without interrupting your winter semester course load. Take an intensive, focused course at another institution that you would not otherwise be able to take within your UBC degree. 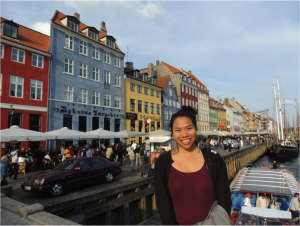 Visit the Summer Abroad page to browse through a list of available programs. Explore the Go Global website to learn more about partner universities, application deadlines, eligibility criteria, scholarships and awards. Attend an information session – see the Go Global Calendar of Events. Connect with Go Global Advisors.